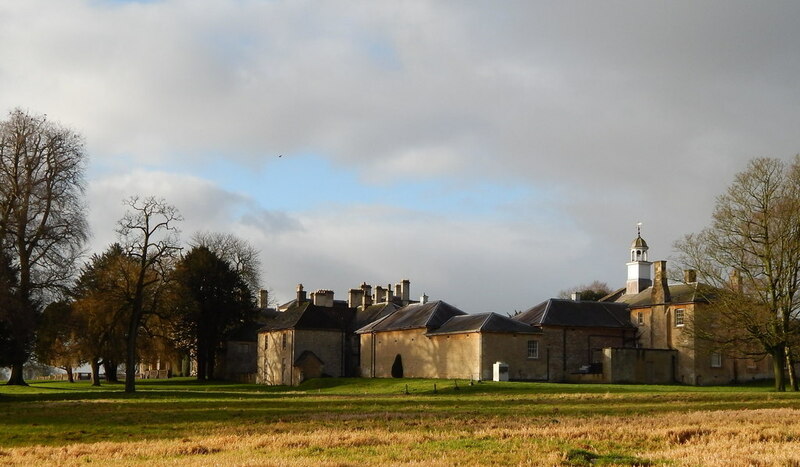 Hartham Park, near Corsham, Wiltshire. 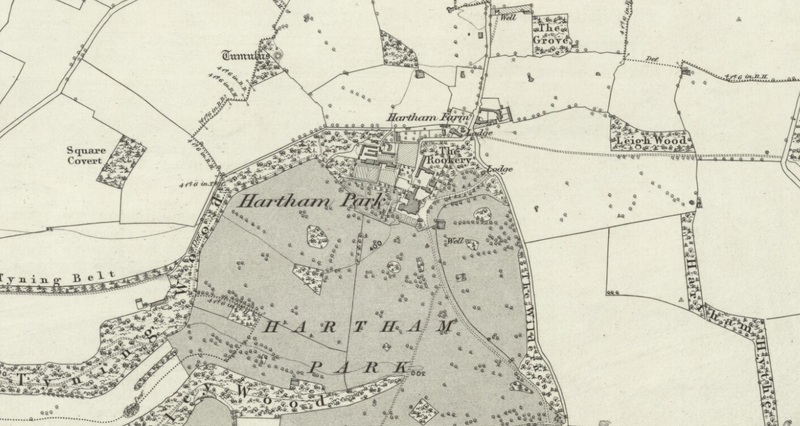 Hartham was held by Anthony Goddard in 1500s. 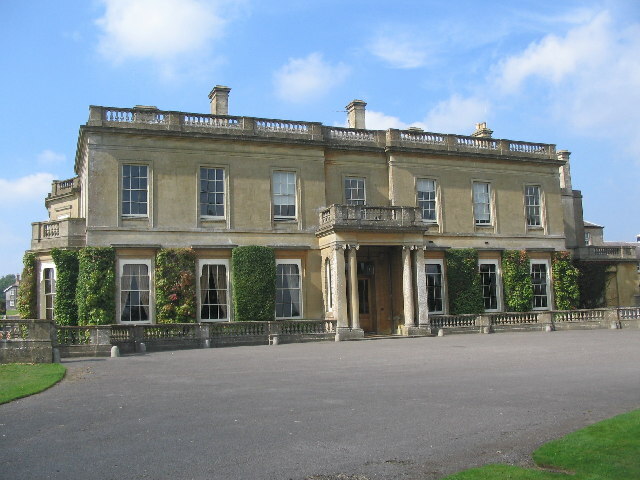 Later inherited by the family of Edward Goddard, MP. She built the new Hartham Park manor house, completed in 1795. Sold out of the family. Had many owners. 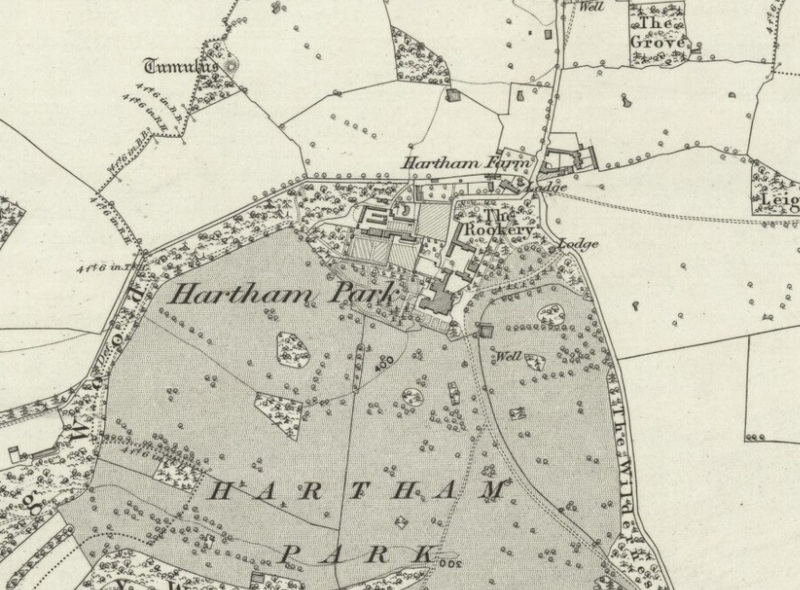 It is now Hartham Park business centre. From 1885 map. See full size. See modern satellite view and street view of NE entrance and SE entrance. Photo 2014. See full size.